Prison taught me a lot of things. In 2008, I was released on parole after spending more than 14 years in prison. I have since earned Bachelor’s and Master’s degrees in social work from Northeastern Illinois University and the University of Chicago, respectively. Early on, in prison, I learned that most people looked exactly like me. They came from poor neighborhoods and from families overwhelmed by the struggles of day-to-day life, not to mention a lack of access to employment and education. Most of my fellow inmates had personally experienced violence and trauma. And, like me, their fight-or-flight instinct was on overdrive. The men who rotated through what seemed like a revolving prison door shared the same goal as me—to never return. The men who rotated through what seemed like a revolving prison door shared the same goal as me—to never return. Somehow, many of us fell short. Nearly everyone who returned to prison lacked the same things—a plan for how to survive outside of prison; a network of people who would stick by them when they faced setbacks; and access to a support system to help them cope with feelings of hopelessness, loss, and frustration. My understanding of these tenets has informed my work as a violence interrupter at Cease Fire, as the founding director of the YMCA’s Urban Warriors program, and now as a senior director at Heartland Alliance, where I lead READI Chicago—an ambitious initiative designed to address the needs of individuals who are most vulnerable to violence involvement and for whom traditional service models often don’t work. READI Chicago participants work together to construct a greenhouse frame at Urban Growers Collective, a transitional jobs partner. Through READI Chicago, we are offering paid transitional jobs, cognitive behavioral therapy, and other supports to individuals at highest risk of violence involvement to help decrease violence and create better futures. Together with men and women who are as committed as I am to tackling Chicago’s gun violence challenge, we are focusing on individual behavior change and creating access to opportunity and positive, nurturing relationships. Specifically, READI Chicago has forged partnerships with employers who are willing to provide participants with practical job training and skills. Cognitive behavioral therapy helps participants learn how to slow down their thinking in times of stress and to control impulses. These skills take time to nurture and develop. Our 24-month program model provides ample time for participants to practice these skills on the job. And READI Chicago doesn’t give up on our participants—even when they encounter setbacks. We know progress isn’t linear. An evaluation led by the University of Chicago Urban Labs will determine whether our efforts have an impact on individuals and communities over time. After spending much of my time in prison contemplating how my future would have meaning, my goal is clear—to use my experiences as a former gang member and inmate, as well as my formal education, to save lives, and to help others heal from trauma and create a way forward. READI Chicago has the potential to help men who share a similar background find and realize their own dreams for a safer and better future. In Chicago, MacArthur supports local efforts to prevent violence, reduce incarceration, build trust between police and the communities they serve, and improve the effectiveness of the criminal justice system. MacArthur is a member of the Partnership for Safe and Peaceful Communities, a coalition of more than 30 Chicago funders and foundations, that has committed more than $40 million to support proven and promising approaches to reducing gun violence. 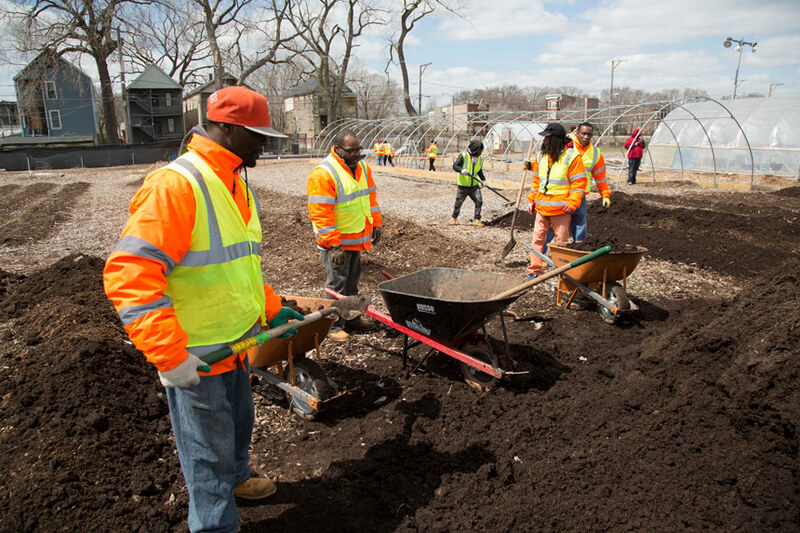 MacArthur supports READI Chicago through a $2.6 million grant to the Chicago Community Trust to support programs that intervene with likely victims and perpetrators through street outreach, violence interruption, supportive services, constructive policing interventions, cognitive behavioral therapy, and jobs. MacArthur also awarded $400,000 to the YMCA of Metropolitan Chicago to support the Urban Warriors Program.